4K Resolution - Native Vs Upscaled Explained. As with any new development in technology, there’s a whole load of jargon associated with 4K projection – which, unless you’re a tech expert, can often be quite difficult to understand. What’s the difference between 4K DCI and UHD? What does 4K on the panel mean? And more recently, what is all this we’re hearing now about ‘True 4K’, pixel shifting and ‘upscaled’ 4K? Are these different technologies from native 4K? Those selling you the latest tech don’t always take the time to explain the difference between these terms and how this difference affects your purchase decisions. If you want to get the most out of your projector, take a moment to wrap your head around the different ramifications of this jargon – dense as it might be. We’ve brought this guide together to help you do just that. 4K, or 4K DCI, is a resolution of 4096x2160px. This is the 4K resolution used by the cinema and video production industry. With 4K DCI, the total number of pixels projected is around 8.8 million – or in other words, four times as many as the previous digital projection and editing standard of 2048x1080px, 2.2 million pixels. 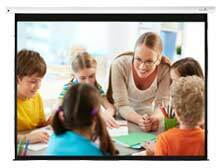 To be deemed to have native 4K DCI resolution, the projector’s display panel must have this pixel count and reproduce each individual pixel on the screen. We’ll come back to why this distinction matters. 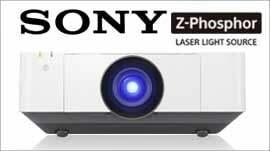 Currently only projectors from Sony feature a native panel pixel count of 4096 x 2160. Every Sony 4K SXRD Home Cinema projector – from the VPL-VW260ES to the laser light source VPL-VW760ES – delivers true 4K images with a native resolution of 4096 x 2160. That’s over 8 million separate pixels, giving four times the detail of Full HD. While some other brands of projectors projectors are advertised as being ‘4K capable’ or ‘True 4K’, they actually use lower-resolution 1080p or 2K panels. The original 4K signal is first down converted to much lower HD resolution before being fed to each HD image panel. Then, before it reaches the projector lens, the image’s apparent resolution is boosted using so-called pixel shifting technology. Partial frames from the lower resolution panels are minutely displaced by a rapidly-moving shifting device. These partial frames are projected in quick succession, building up an on-screen image with a 4K UHD pixel count. The video on the right shows the benefit of native over upscaled..
4K UHD resolution is the consumer market standard. In the world of consumer 4K UHD TV's the TV's panel has a native resolution of 3840 x 2160 pixels. In the world of 4K UHD resolution projectors, the projector achieves this resolution (At the time of writing this article, March 2018) by using a technology called "pixel shifting." Different manufacturers implement this technology in slightly different ways, but for a very rudimentary explanation of the tech – it essentially overlays two HD images on top of each other (depending on the projectors panel / chip), shifted by a half a pixel up, down, left or right quickly so the naked eye can’t detect the shifting. The display panel, therefore, can be native 1080p (as seen in 3LCD and some entry level DLP models), Some DLP models might use a chipset using 2176x1528 micromirrors, the device projects the same pixels twice, thus creating twice as many pixels on the screen resulting in a crisper image. The difference here is that native 4K projectors have roughly eight million distinct pixels on their panel to start off with, while pixel shifting tech starts with a lower number of pixels and creates the higher number by using the source image and processing it. Depending on the individual model, some projectors pixel shift twice, some do so four times – with the former having a more convincing 4K effect in areas of the image where their is finite detail such as small text. We’ve made no bones about the fact that this is not native 4K. But according to the Consumer Electronics Association (CEA), a projector being described as 4K UHD must have at least one HDMI input that can accept a native 4K UHD signal, and be capable of displaying each individual pixel of the 3840x2160px (8.3 million pixels) count on screen. While the marketing terminology is contentious, the technology – and price point – behind pixel-shifting 4K resolution projectors deserves recognition. Time and time again we’ve been surprised by new models and the seriously impressive images they can achieve. When you take the steep price difference between these models and the native 4K alternatives, into account, it’s really worth giving them their dues. Price : Now we’re onto the real reason why this technology is so popular. Native 4K projectors are not cheap, there’s simply no getting around that. When you consider you can get a ‘4K enhanced’ projector such as the BenQ W1700 for as little as £1439 compared to the native 4K UHD starting point of £5,000, you can see why this option has gained so much attention. Got your head around the resolution terminology? Here are a few further things to consider when deciding on the right 4K resolution projector for your needs. The first point is to consider the content. The projector can only do so much: if you’re not feeding in 4K content, expect to receive a poor quality reproduced image rather than a ‘wow-factor’ 4K image. It’s all down to your individual perception of “value” and how much 4K content you’re watching. It’s also a judgement as to what you deem as acceptable in terms of the price gap between the native and non-native 4K projectors. Think too about the projector in the context of your unique setup. Viewing distance is a huge factor in perceiving resolution. If you’re viewing the screen from a common distance of say 1.3x the screen width, you may not see all the detail on even a standard 1080p image. It’s often beyond the ability of the human eye to resolve such minute levels of detail. Move up close, however, and you can see pixel structure. A picture generated by either the 4K DLP chip, or by the 3LCD 4K-enhanced models, will certainly appear higher in resolution than a standard HD 1080p picture from a distance of 1.3x the screen width. But since we are reaching the limits of the human eye to resolve fine detail at this distance, the perceived differences between native 4K and the 3LCD 4K-enhanced projectors are subtle when viewing video. Though as previously noted, they’re less subtle with high resolution graphics and text. Don’t forget that your entire setup needs to be 4K compliant to allow your projector to display the striking 4K images you expect. This means all the AV devices in the setup, any switchers, splitters, AV receivers and, of course – cabling. Basic 4K – less than 10-bit colour, no HDR = 10.2Gbps. Standard 4K – 10-bit colour, no HDR = 11.1Gbps. Advanced 4K – 10-bit colour or higher and HDR = 18Gbps. You can find out more about home cinema cabling in detail in our cabling guide. Finally, check out a range of 4K projector screens to complete your setup and ensure that none of the details from the image are lost to ‘visual noise’ created by screen material structure of non 4K screens such as standard matte white. We hope the above 4K resolution : Native Vs Upscaled guide has given you a clear understanding of the basics in what to look out for. We understand there is a lot to take in and a lot of choice so if you still need help we're only a phone call or email away.